So it seems just ridiculous that we made our Big Move up the Finchley Road, from Flat to House two and a half months ago now and I still haven’t blogged it, but that’s pretty much my pace at this blogging thing. So here we are in mid-October, having moved on 2nd August and it’s time for a little retrospective…. You probably all know, because I whinged on and on about it, that we had to up sticks at short notice and move out of our three bed flat on Broadhurst Gardens, NW6 (and area I LOVE, by the way) and you’ll know if you read my bi-monthly posts that we found a great house just up the road in Childs Hill, with plenty of space, a playroom for the boys and a garden, for not a wildly different amount to what we were paying in rent for our old place! We couldn’t quite believe our luck, yet here we are two months later actually living here. And then the amazing people from Alexanders Removals turned up. These guys were the best removal men I could ever imagine. They were quick, careful, friendly and when we bought them lunch and coffee half way through the packing they were so sweet and gave me a little pep-talk (I was very emotional that day!) and were really understanding. We couldn’t have wished for a better experience. Moving is a stressful nightmare, but if you have to move, use them! I used to love this view sitting many hours long hours feeding or cuddling my babies here. By the time we got back (to the new house, not the old!) the removers had unpacked almost everything and were about to leave and we were left with the very, very long road of unpacking and settling in ahead. 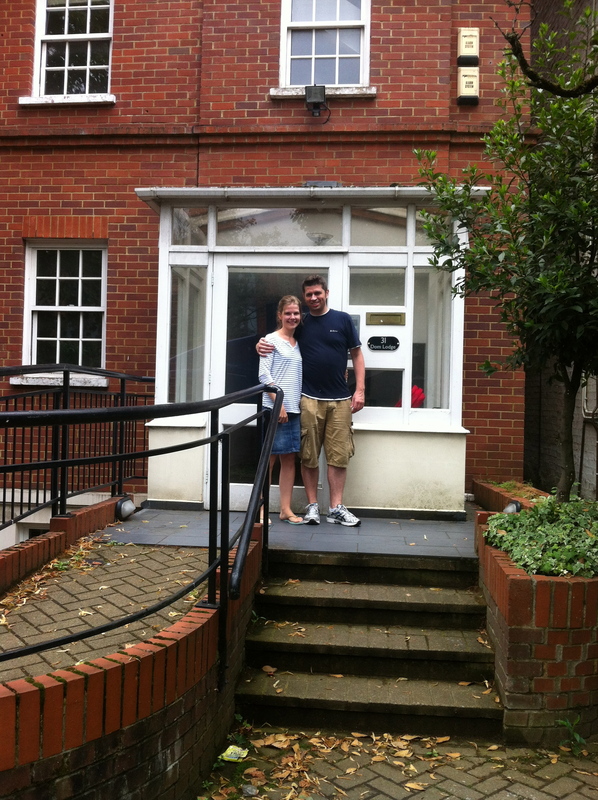 So long Flat 3…. Thank you for the memories.